Good Morning and Happy Monday! It’s been a while hasn’t it!? As you can probably see I’ve redesigned my site and I am soo excited for something new! During this redesign my site was in maintenance mode and I was unable to post… It was actually kind of nice being able to take a couple weeks off and regroup my thoughts and posts etc… let’s just say lots and lots of exciting posts and new things coming your way! I’m still going to be giving you outfit inspiration and fashion bits, however I’m definitely going to be mixing in some more lifestyle. I hope you enjoy it, because it’s fun for me to create that content and I like mixing it up! 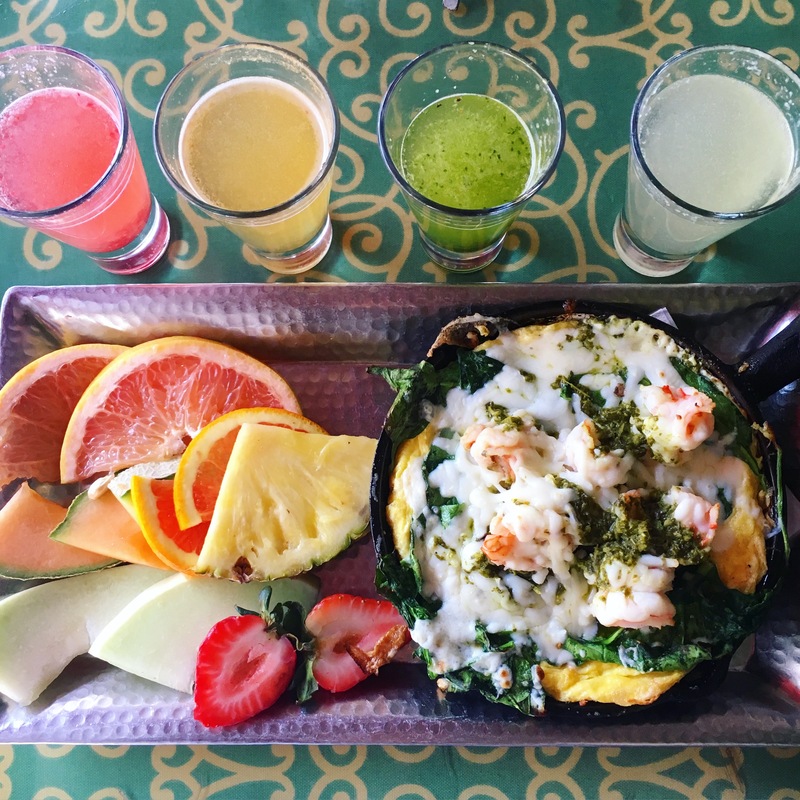 Moving on…. um can we talk about THESE fringe jeans!! Omg I’m obsessed. The fringe takes the denim look to a whole new level and they’re like $35!! Sizing runs small, definitely size up- I’m wearing a 6 for reference! I’ve had a lot of people ask about my shoes when I posted on Instagram last week! I picked up THESE from DSW last year.. unfortunately I can’t find the sparkle anywhere so they must be discontinued, however I found them in regular colors HERE, HERE and HERE. 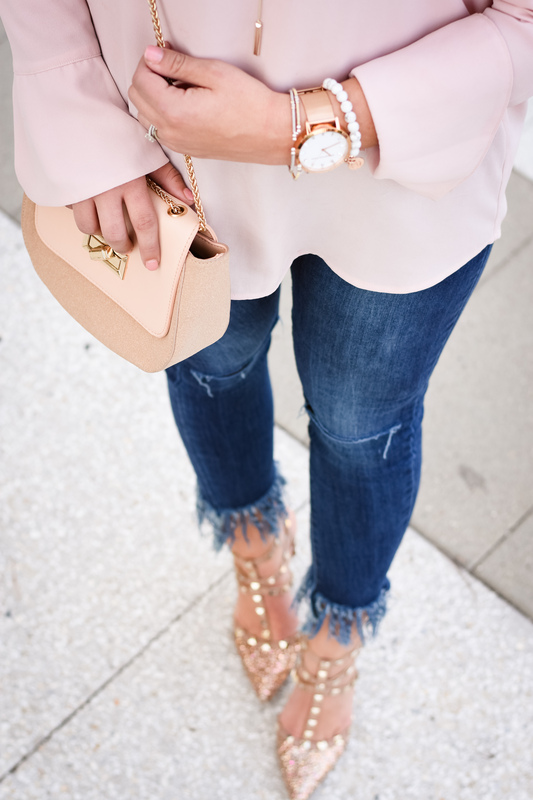 I think the rockstuds make such an awesome statement shoe and THIS pair look identical to THESE and last but not least.. this watch and marble bracelet!! 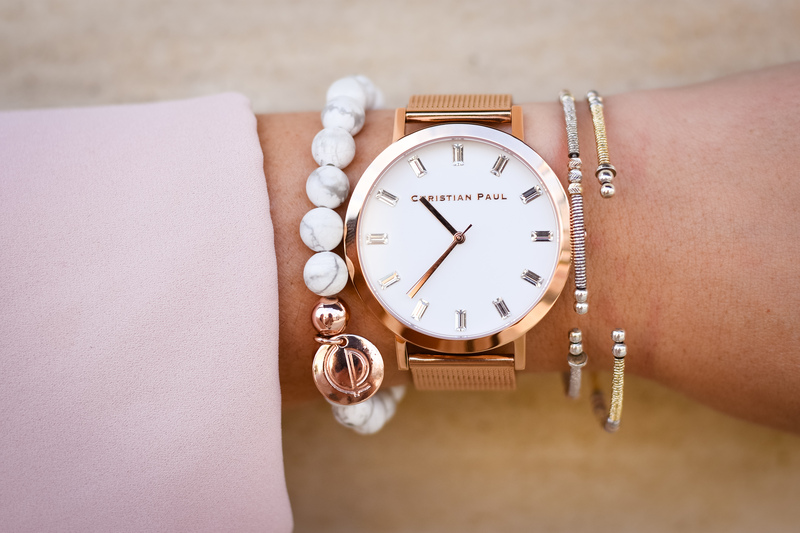 I’ve owned a CP watch for a bout a year now and have loved the quality and sleek look of it so when they sent me a set from their luxe collection… I was so excited! Sparkle, marble, gold, thin design, could it get any better! Thanks for stopping by today lovelies! Make sure to pop by tomorrow and Wednesday.. I have something special planned- just don’t know which day it will go up! 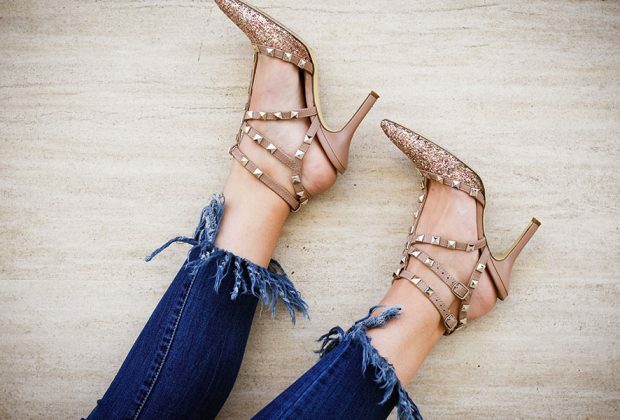 I have been looking for the right Valentino Rockstud dupes! Im so excited! PS. I finally have an appointment with Billy Friday! Yay me! I just could never get my schedule straight and had to put it off but finallyI am making time for it! Ill let you know how it goes! I made sure to tell them who referred me!